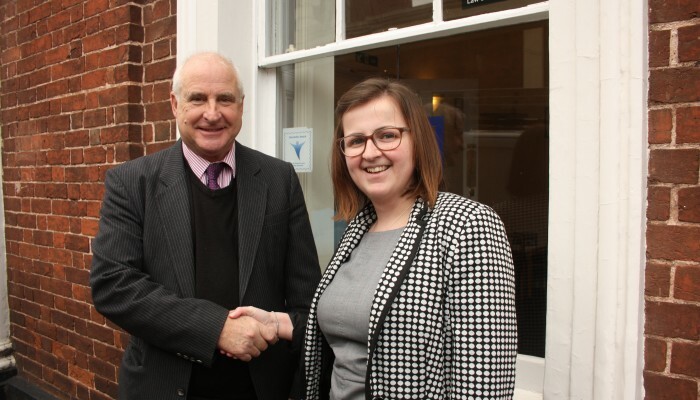 Veitch Penny LLP is proud to announce that Ellie Wonnacott is now a Trainee Solicitor. Ellie joined the firm’s Crediton office in December 2016 as a Paralegal. Having already completed her law degree and studying for the Legal Practice Course on a part-time basis, is now able to work towards the Training Contract to qualify as a Solicitor in May 2019. Ellie joined Veitch Penny to assist Ian Penny who undertakes a variety of matters including property work, wills, trusts and probate. Ellie predominately deals with property work although will develop her expertise in other areas of law to fulfil her training requirements. Ian Penny states “Since Ellie has joined the firm, she has developed her knowledge on a wide range of matters. She is outgoing, hardworking and diligent member of the team and builds a good rapport with clients. Ellie has promising future and I am pleased that this firm will be a part of it”. If you would like to speak with Ian Penny or Ellie Wonnacott on any legal matters then please contact them on 01363 772244. ← Buying and selling your property?